Have you attended an authorized VMware vSphere Install, Configure, Manage or a VMware vSphere FastTrack class and want to run through the labs again? We've put together a complete remote lab solution where you can redo the same lab exercises you performed in your VMware class from your own home or office, on your own time! 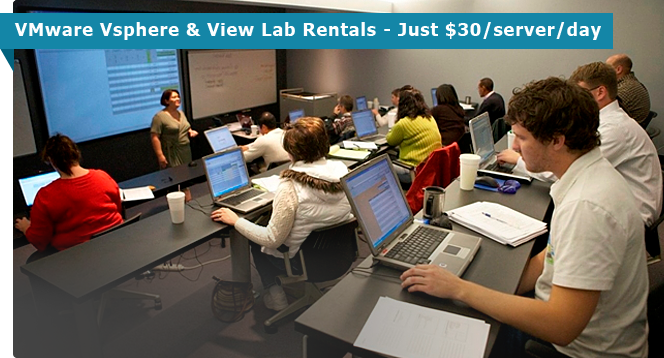 Our solution includes the rental of a complete, virtual self-study lab environment that you can rent from 7-60 days. Access is via MS Remote Desktop Services to a dedicated remote lab where you can run through all of the labs you performed in your authorized class - again. Just what you need to improve your hands-on skills in advance of challenging the VMware Foundation or VMware Certified Professional exam. We offer dedicated, always on, lab rentals from 7-60 day. Click here to rent your labs. Please verify that your local PC, network satisfies the above requirements before bidding. We will not refund your purchase price if you have network issues. To benefit from the use of our vSphere remote lab rental, you should must have course books received when you attended an authorized VMware vSphere Install, Configure, Manage or FastTrack course. If you don't have these books, we provide a self-study option that includes our own comprehensive, step-by-step Lab Guide book that has over 24 lab tasks. We provide support through our web based trouble ticketing system during your lab rental period. This item is 100% digital so there are no shipping charges. Q. Is cell phone data service good enough to access your remote labs? A. No. Cell phone (GSM / 4G LTE) service can be unreliable depending on signal strength and quality. If you have a wired broadband or WiFi link, then you are good to go. Q. Can I test Lab Access before I buy so that I can be sure I can access your remote labs? A. Yes. 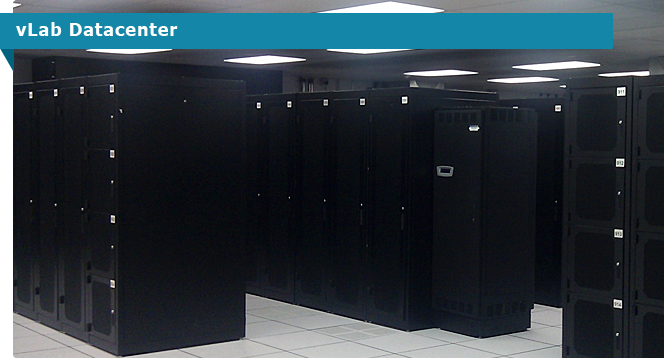 Contact us for details on how you can perform a connectivity test to our remote labs.